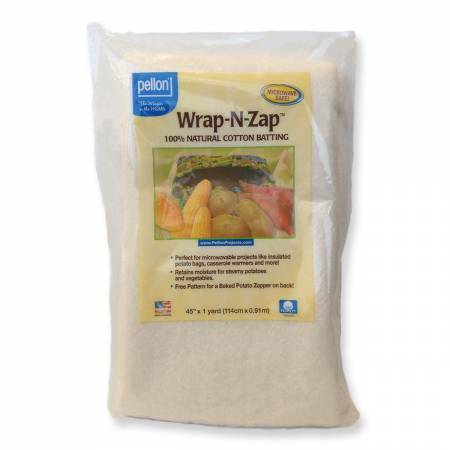 Pellon’s Wrap-N-Zap is a microwave safe product. 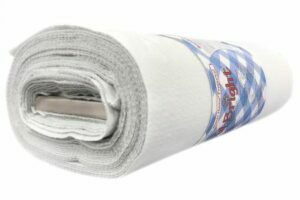 Made of 100% Natural Cotton Batting. When used in the microwave, it will trap the moisture inside to produce a perfect baked potato or a well steamed ear of corn. It can even be used for warming rolls and tortillas. 100% Natural Cotton Batting.